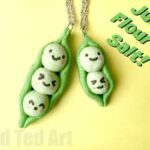 Soooo, as my kids get older, it is exciting to be able to do more and more different crafts and activities with them. 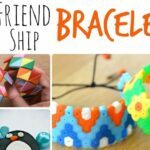 Our latest forage into “learning something” – are the classic Friendship Bracelets made with embroidery threads. 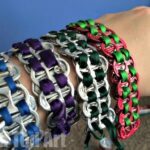 I remember making these Friendship Bracelets when I was 14 and at Summer Camp. I couldn’t get enough of them. 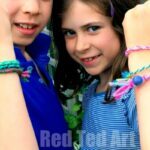 I started Red Ted (almost 7) of on the Friendship Bracelet for beginners – the diagonal pattern. 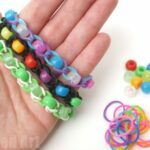 This is the basic technique and once you have mastered it, you can on to Chevron Friendship Bracelets and Heart Friendship Bracelets (more to come on these soon). So. Red Ted did really well for his first couple attempts! 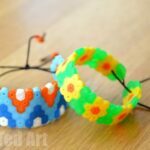 The great thing about Friendship Bracelets – once you know the basic patterns, you can create all sorts of colour combinations – perfect for both boys and grils. 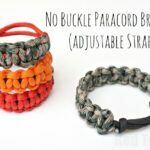 Check out these bracelets and how we close them of with a button, so you can take them on and off. Now… time to have a go! Please don’t forget to subscribe to our YouTube channel! 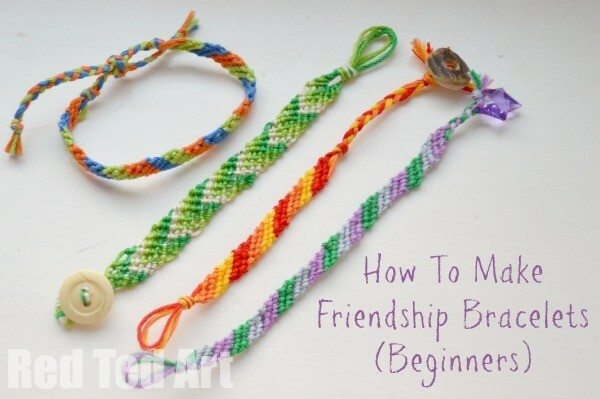 Hope you have a go at making Friendship Bracelets. 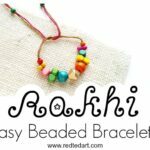 They are so fun to make and I love how you can make a friendship bracelet anywhere and any time.. as mentioned – perfect for those long road trip car journeys, or when on a flight…. or simply whilst hanging out in front of the TV! 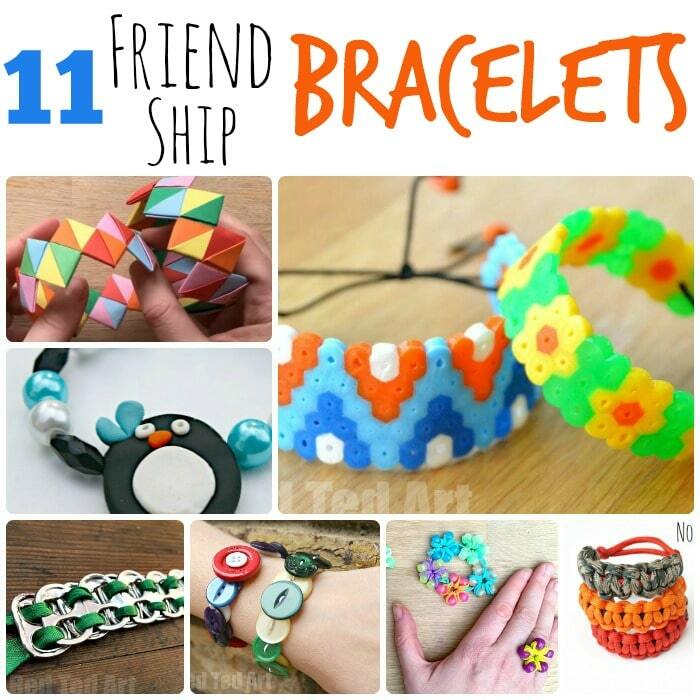 Do share YOUR DIY Friendship Bracelet ideas with us via Instagram, tagging @redtedart! !